The Victoria & Alfred Waterfront is one of the most visited tourist attraction in Africa. This working harbor is situated between Robben Island and Table Mountain. 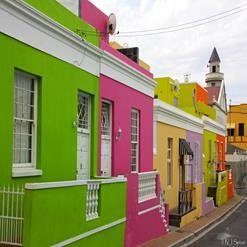 Visitors will find some of Cape Town’s best restaurants, pubs and various shops where they can spend their money. It also houses Nelson Mandela Gateway which offers boat trips to Chavonnes Battery Museum, Two Oceans Aquarium and Robben Island.